There was only one pair left on the shelf... red. They were a size or three too big, but a cowboy needs boots when he's celebrating his birthday. I didn't know he would wear them here and there and everywhere... and that the bit about a cowboy sleeping with his boots on might just be truth. I didn't know that he would wear them far longer than five. Longer than six. A little of seven. I didn't know that... the boots were two different sizes. Until he started growing into them, at seven. I didn't even know that both boots were for the left foot. But most of all... I didn't know how sad I would feel when I realized they were gone. Oh my gosh.....talk about tugging at ones heart strings! That is too darn sweet. Two left feet? Two different sizes? I sure do hope they were on SALe! I've got to find the photo of he and Linds while hugging...I think they both had on their special boots? Oh, I know just what you mean!! How I wish I had saved Will's cowboy boots! And his weren't even cool and red. The time goes by TOO FAST, doesn't it?? This picture with the 2 left feet made me chuckle. 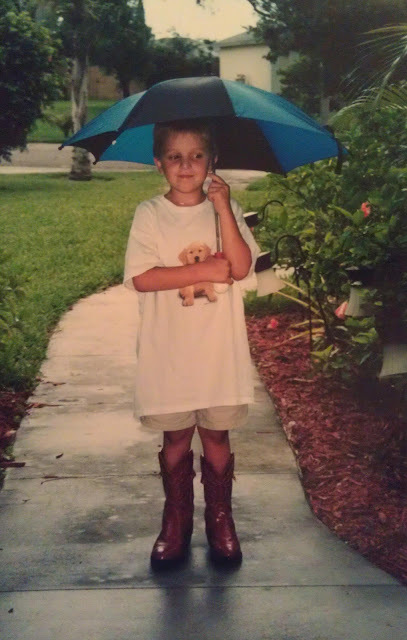 Little boys and their boots...How I miss my little boy who now is 41! So glad you got a photo of yours in his cowboy boots. Now, when I get back to Idaho I will have to see if I can find a picture of Teddy in his.